The biggest mistake women make when they decide to get divorced (and most divorces are instigated by women) is that they fail to plan for their post-divorce life. This is understandable. The decision to separate from a marriage is highly emotional, and it can be difficult to focus on practical questions, such as how you will cover your mortgage without your husband’s income. The truth is that your financial life will probably change more than you imagine. According to the Government Accountability Office, women face an average loss of 41% of their household income after a divorce. We don’t have to tell you that it is a whole lot harder to buy groceries, cover the mortgage, and keep gas in your car with 40% less money coming in each month. We know how traumatic divorce can be, but if it is possible, we encourage you to sit down and start planning for your post-divorce financial life before you pull the divorce trigger. On his blog, money guru Dave Ramsey suggests a unique strategy that is especially useful for women as they seek to make ends meet after a divorce. 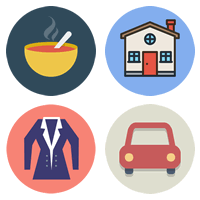 The Four Walls Strategy is simply a means to help you prioritize your spending and budgeting. Before you get divorced, determine the monthly cost of your four walls. How much do you spend on food? What about shelter, clothing, and transportation? This is the minimum amount of income you need each month to breathe easy and keep yourself in a financially stable situation. Can You Cover Your Four Walls? What happens if the cost of your four walls is higher than your anticipated post-divorce income? Unfortunately, this is the entire point of implementing the Four Walls review before your divorce. If you cannot cover your four walls, then your entire financial life will come crumbling down if you don’t make big changes. Too many women have no idea how much their current standard of living costs, and then they quickly run out of money after their divorce. The Four Walls review will keep that from happening. If the numbers don’t add up, then you need to make some changes to your post-divorce plans. Remember, the Four Walls represent the bare essentials. You must find a way to cover these costs if you want to achieve any type of stability. The Four Walls Strategy is a good place to start when planning your post-divorce life, but it is only a beginning. (Here’s a great article on planning your post-divorce finances.) You will have a lot of decisions to make and a lot of changes in your life. Make sure you are ready for them all. 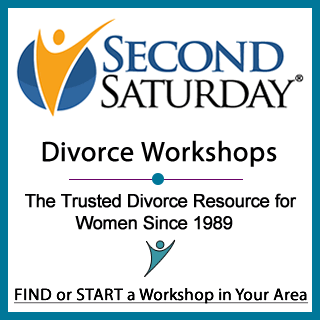 Keep reading our helpful divorce articles for women, and consider signing up for the next Second Saturday Divorce Workshop near you. Each workshop brings together divorce experts who can help you prepare financially, emotionally, and legally for your divorce. I am considering a divorce after 21 years. My husband recently retired and we cashed out to pay off debt. He receives a monthly retirement income of 7000 after deductions and taxes. His retirement was reduced because he established an annuitant that would give me a certain amount of income upon his death. Am I entitled to a portion of his monthly retirement income and am I entitled to keep the annuity after divorce? Will my income factor into the settlement? The answer is probably yes to all your questions. Please contact an attorney knowledgeable about the laws in your state to find out what you are entitled to and how it would be calculated. We own a house and apartment whose rent pays its mortgage. I am co-owner. My husband left me. I do not want a divorce because my wages help ensure payment of mortgage. He keeps an account with a friend of his that manages both units, for the rent. I found out that I wasn’t on the account and requested to be put on the account. For some reason, I still cannot get access. I do not want a divorce. What should I do? Have a talk with your spouse about adding you to the account. If that doesn’t work talk to an attorney to see what the law is where you live. My Ex and I are divorcing this year, but he still owes federal back taxes on his business. Will I also get hit with that expense if the business is in his name? If he is willing to keep his name on the loan, that could work. I am looking for some solid advise. My husband purchased our home 1 year before me met and for married. I am not on the loan and has refused for years to add me to the deed. We have 2 children ages 10 and 6 who only know this home. What are my options. You can have more discussions with him about why you feel so strongly about being added to the deed. I just retired in June from teaching. I have a pension. Husband had been paying all the bills but has not been consistent in paying bills lately. I put so much on our “joint” a count to pay mortgage and other bills. He has back IRS taxes that he has not paid for his business. I have my own banking accounts and pay my health insurance and cell phone bills. Is there any thing else I should do to protect myself financially? Keeping your accounts separate probably protects you from the IRS seizing assets to settle the business tax debt. If you are protecting your assets from his possible bankruptcy, talk to a bankruptcy attorney about how the laws work in your state. If you are protecting your assets in case of divorce, talk to a divorce attorney about how things work in your state.